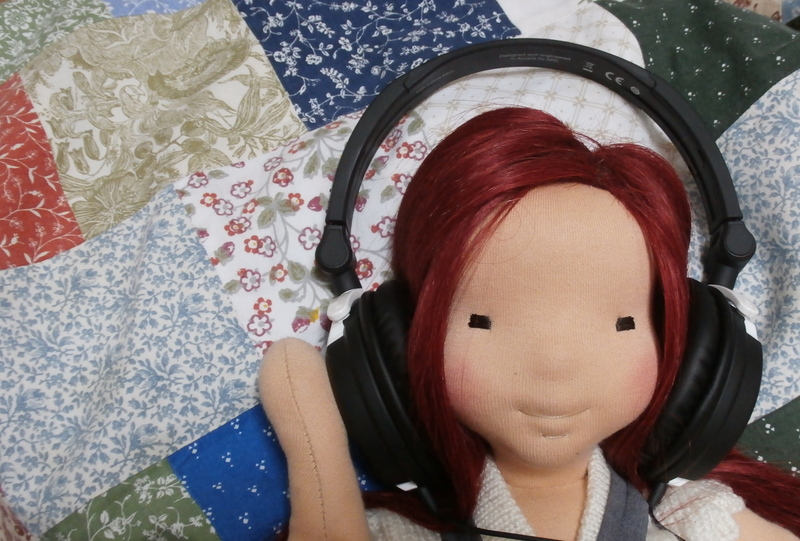 Have you ever wanted to make a doll for yourself? It is lovely to see the work of other doll-makers; the different designs, clothes and features used that give dolls such different personalities. But if you made your own doll, how would it look? One of the things I enjoy most about teaching is the way that students follow the same patterns, instructions and guidance at the same time yet produce such unfailingly different and appealing dolls. Initially everything seems uniform. Each participant has all materials prepared, with the machine stitching on the bodies already completed to leave time for other skills. There is a quiet feeling of expectation. Who will these new participants be? What will they master quickly and what will they need support with? What skills, thoughts and personalities will they bring with them to the group? If it were you, what would you bring? I give all of the course participants a selection of skin colours to choose from before the course, and this makes a beautiful range of dolls right from the beginning. But actually, I think the shaping of the head and stuffing of the body gives much more individual personality to the dolls than the colouring does. The care with which each head is held, the differences in tying and needle-felting, the proportions which each doll-maker finds pleasing. These are the things that give the dolls the most individuality. I could dictate each measurement and encourage everyone to copy a specific design, but I prefer to help guide the natural instincts of each participant. I like to teach small group sizes in order to be able to give detailed support to everyone, and to allow the possibility for some creative deviation from the plan! learning to stuff the limbs by rolling wool. Next comes covering the head and embroidering the face. This stage always takes longer than expected; making one eye is all very well, but making a second to match can takes some practice. And hair! Gosh, what excitement, the possibilities are many! Do you choose long, or short, smooth or choppy, curly or straight? Crocheted, embroidered or knitted? We surely need some nibbles to keep up or energy in this challenging creative choice! -makers send me photos of their dolls back at home, dressed in their first outfits, and it is always good to keep in touch and hear how your doll-making is getting on. My 2019 workshops will be on May 11th-12th and November 9th-10th, both in the beautiful city of Edinburgh. There are still a few spaces left in both workshops, so do contact me if you’d like to come along. You can email me on stoffoli@yahoo.co.uk, or leave a comment below, visit my page on doll-making workshops for more information.